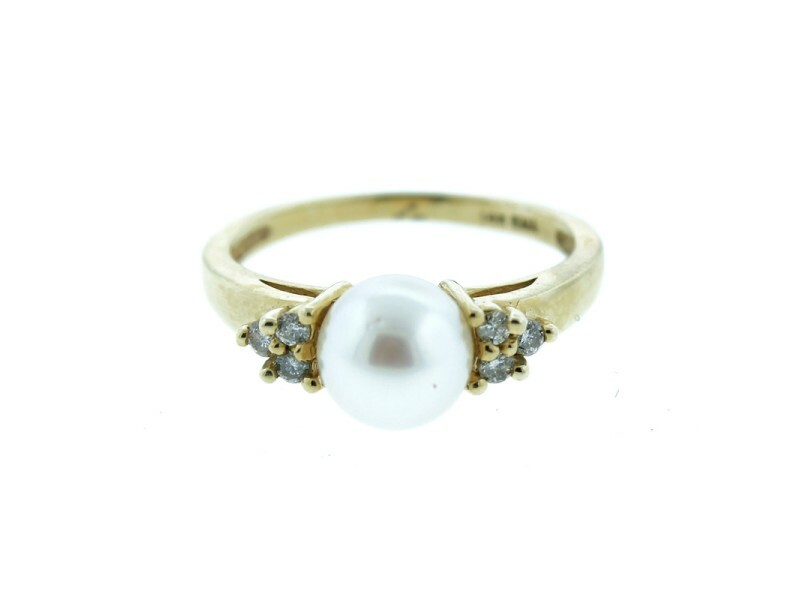 This freshwater pearl and diamond fashion ring takes the simplicity of a pearl solitaire & adds three diamonds accenting the band on either side. 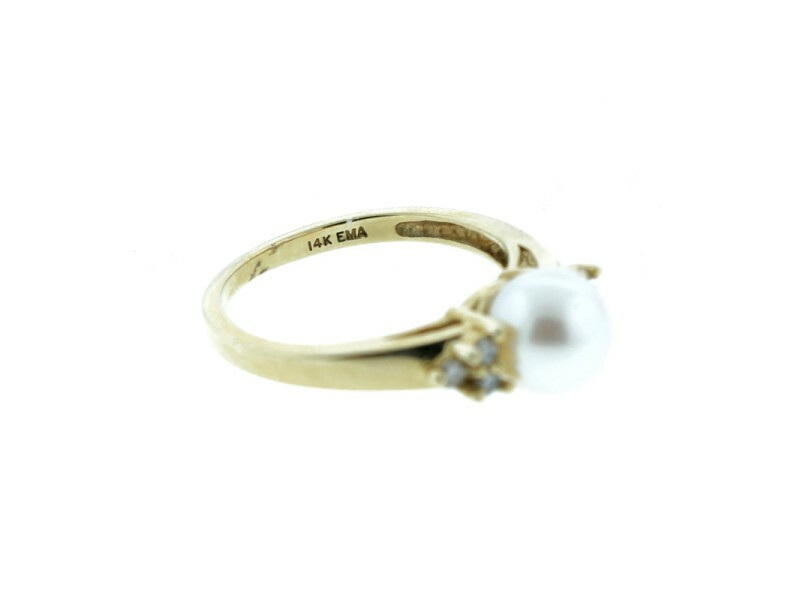 Approximately 0.24 ctw of full cut I-J color I2 clarity diamonds accent on a side , highly polished AA quality freshwater pearl of a luminous light cream to white color. 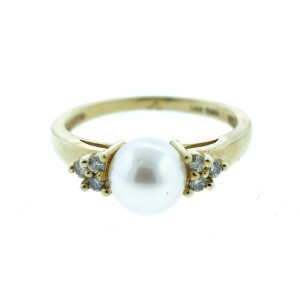 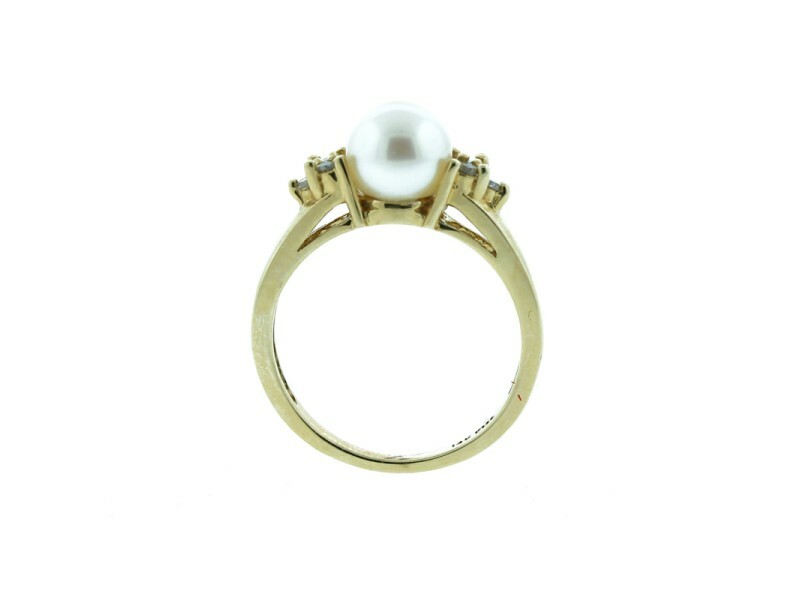 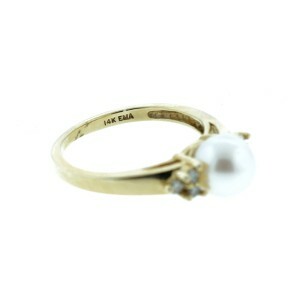 This pearl and diamond ring shines bright, nestled in a 14K yellow gold setting.